The OCG publishes under the name books[at]ocg.at. The OCG has developed into a small specialised publisher for ICT topics with good service provided at little cost. Universities and science bodies can create PDF files in good quality which will be produced at a good price by the printing company. The Druckerei Riegelnik has become OCG's trusted partner in publishing over the years. The committee for the OCG publishing series evaluates the papers for their scientific value. 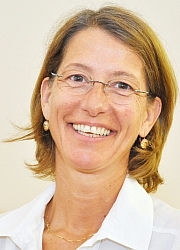 Elisabeth Maier-Gabriel handles the co-operation with editors, authors and printing company.